Being able to eat outside of your own kitchen can be worrisome for those with celiac disease (CD) or non-celiac gluten sensitivity. 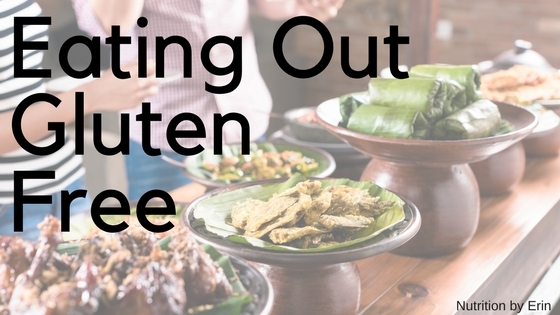 If you have CD or are choosing to live gluten free, this article gives you peace of mind when eating out. You’ll learn strategies to eat at any restaurant, examples of cuisines and safe bets, and how to manage eating in someone else’s kitchen. This article is part three in a series of four articles on CD, providing practical steps to thrive while living gluten free. For more information, check out the other articles in the series: Do I Have Celiac Disease?, 3 Steps to a Gluten-Free Kitchen, and Top 4 Apps to Navigate Gluten Free. The most important strategy is to plan ahead. Before visiting a new restaurant, plan ahead and research your options. Visit the restaurant’s website, review menus, and find out what other gluten-free diners have experienced. Download the app, “Find Me Gluten Free.” Members rate and review their experiences at restaurants. You can also search Yelp for “gluten free” and read the reviews for good insight. Be sure to contribute to these platforms so that others may benefit from your experiences. Another helpful resource from Gluten Free Living is a list of dedicated gluten-free restaurants you can find across the United States. Once you select a particular restaurant, call ahead (during non-peak times) to assess the situation. Ask to speak to a manager and fire away with the following questions. Is the staff trained in gluten-free dining? Is there a dedicated area for gluten-free food preparation? Do you use separate equipment to prepare gluten-free items (e.g., separate fryer, cookware, utensils)? Are items dusted with flour before sautéing or grilling? Do you marinate or use spice blends that may contain gluten? Are any items prepared from a premade mix? If you don’t feel comfortable with his or her answers, pick another restaurant. After investigating a restaurant, you still need to inform your server that you cannot eat gluten. If the restaurant has identified gluten-free options, order from that selection (still verify it is gluten free). Otherwise, order a simply prepared protein such as steak and a salad. Also, confirm that there is no cross-contact with gluten on the grill or flat top, no glutinous marinades or spice mixes, and no croutons on the salad. In an ethnic restaurant, be careful with sauces that may have ingredients you are unfamiliar with and thus, they may or may not contain gluten. It is safer to avoid what you cannot confirm. When you receive your order, inspect it for gluten. Mistakes happen, so double check your dish before diving in. After you enjoy your meal, be sure to tip generously, give props on social media, and become a repeat customer. If you happen to get sick after a meal, it is very important to follow up with the restaurant so they can figure out what went wrong, fix it, and do better. SUMMARY: Research the restaurant, call ahead to confirm safe options, and then clearly communicate with the serving staff for a successful visit. Gluten-free options are a good starting point, but they do not necessarily guarantee a safe meal. Chain restaurants may offer some assurance with standard menus, policies, and practices. Check out the following restaurants. Do they offer safe bets? Limited options? Not enough information? You can decide how much risk you are willing to take. If you are looking for a gluten-free pizza, California Pizza Kitchen has it. They have completed the Gluten Intolerance Group (GIG) Gluten-Free Food Service Certification Program. Check out GIG’s website for a list of certified restaurants and more information about the best practices, standards, and strategies maintained to ensure safe options are available for gluten-free consumers. The gluten-free pizzas are prepared using approved GIG procedures, the crust and ingredients are all verified as gluten free. You can be confident that you will receive a safe meal at California Pizza Kitchen if you order from their gluten-free menu. Starbucks has limited options and it takes hunting around their site to get to ingredient and allergy information. Even if you find an item that naturally appears gluten free, such as their Sous Vide Egg Bites: Bacon & Gruyere, Starbucks provides the following warning on the ingredient page: “We cannot guarantee that any of our products are free from allergens (including dairy, eggs, soy, tree nuts, wheat and others) as we use shared equipment to store, prepare, and serve them.” For those with CD or high sensitivity, Starbucks is risky. They do take precautions with their gluten-free breakfast sandwich; there are also pre-packaged gluten-free items available. Many Chinese restaurants use soy sauce in their cooking, which contains gluten. P.F. Chang’s has a dedicated gluten-free menu that you should not deviate from—i.e., almost everything contains wheat except what is on this special menu. Be sure to request the gluten-free soy sauce for your table. On the Allergy Info page, there is a clear warning stating that all ingredients share cooking and preparation areas and that cross-contamination is possible. Their gluten-free menu is impressive; but since there are no best practices in place for handling or prepping gluten-free, it can be dangerous for a person with CD. Most people associate Italian restaurants with pasta and bread, but that does not mean that there are no options for the gluten-free diner. Olive Garden offers a limited gluten-free menu, which also includes a gluten-free pasta imported from Italy. On the positive side, they have dedicated cookware for the gluten-free pasta. On the negative side, they do not have a dedicated fryer, so there is potential for cross-contamination of all other items. Also, while the Italian dressing is gluten free, the manufacturer is not a gluten-free facility. Olive Garden urges you to tell your server of your needs so they may take every precaution; however, there is still a high risk—especially for one with CD—of cross contamination. 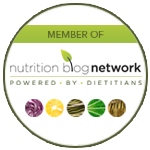 Check out their, Gluten Sensitive Diet, section for more information. Be sure to use the restaurant strategies mentioned above before dining there. Chipotle is known for their fresh ingredients, prepared with no added flavors, colors, or preservatives. They provide a plethora of nutritional information, including a Dietary Options page that lists gluten-free items; everything is gluten free except the soft flour tortillas. There is a warning, however, stating that foods containing corn (chips, soft corn, and crispy corn tortillas) may be cross-contaminated from co-mingling with gluten-containing grains in the field. The Allergens & Special Diet page has a section for gluten intolerance and celiac disease which restates the warning about corn cross-contamination and says to let them know if you would like them to change their gloves before the start of your order. Due to the minimal amount of gluten-containing foods, Chipotle provides many choices without too much fuss. SUMMARY: Chain restaurants may offer some assurance with gluten-free menus and standards, but you still need to do your homework and be diligent when eating there. Inform the host well in advance if you have CD, non-celiac gluten sensitivity, or are choosing to avoid gluten. Explain your situation, how it affects you, and what you can and cannot eat. Be ready with suggestions for something simple and easy the host can prepare. You may even offer to bring a dish. This will ensure there is something safe for you to eat and it relieves pressure on the host. SUMMARY: Be a good guest by informing the host and offering to bring a gluten-free dish to share. Eating outside of your kitchen takes more effort, but it doesn’t have to be overwhelming. Plan ahead by researching the restaurant, calling in advance to be sure you have options, and then clearly communicating your needs when you arrive. Ultimately, the restaurant wants to make your experience as delicious and pleasant as possible with the hopes of repeat business. Work together to make this happen. When going to someone else’s home for dinner, give them the heads up, explain what you can and cannot eat, and offer to contribute a dish. The more you practice these tips, the more second nature it will become. The elevator speech on what gluten is, how it affects you, and common hidden sources will flow with complete ease. 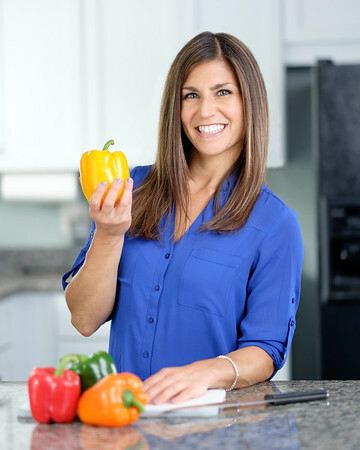 For more information on CD, check out the other articles in the series: Do I Have Celiac Disease?, 3 Steps to a Gluten-Free Kitchen, and Top 4 Apps to Navigate Gluten Free.